Rappers have a long and storied history of rhyming about things that they have very little personal knowledge of, the most obvious examples being selling drugs and murder. Not much further down the list you'll find "living like a rock star" and more specifically, Kurt Cobain. 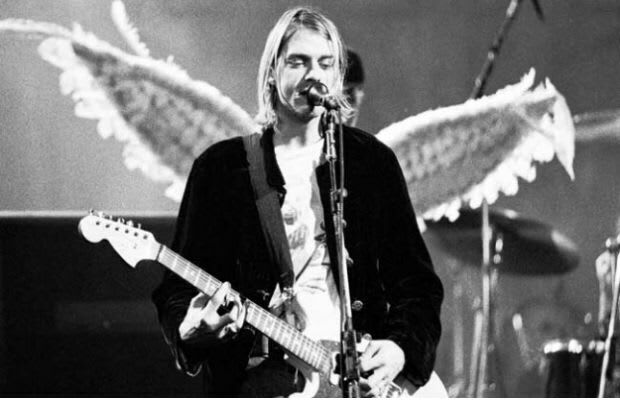 As one of the clearest examples in recent memory of the perils of the rock and roll lifestyle and leader of a band as complicated as it was jamming, it makes sense that rappers would call Cobain's name when they want to seem a little more worldly. But what exactly are they saying?